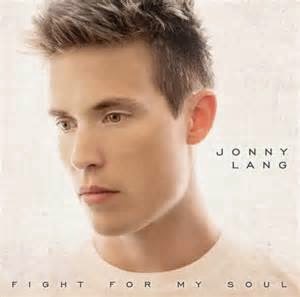 Although the phrase "fight for my soul" makes a good mantra it's actually the name of the most recent album by Jonny Lang, which hit number one on the Billboard Blues chart this past winter. Only someone who is a blues legend in the making at the ripe young age of 33 can write songs like he does about his journey through life in the music business and sound like a wise older guide but with a youthful and optimistic slant. Fight For My Soul addresses some of the darkness in his past with a clarity that one can only have looking back on it much later. He spent years in his teens and twenties in the throes of the wild (and sometimes dangerous) party life on the road but came out of it on the other side almost a decade ago, stronger and better than ever. They say one of the hardest industries to maintain your integrity and sense of self in is the music business. Must have been especially hard for someone who entered it at age 14, certainly not a man, barely a teen. But as I said he has long since earned the title of survivor. 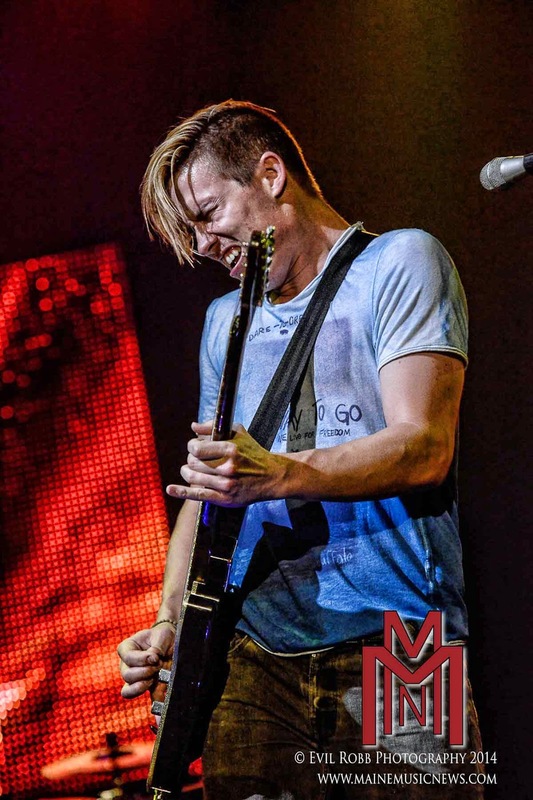 There's no artist I like to hear, see perform, or write about more than Jonny Lang. I caught him last month, as I always do now when he's in town, this time at The Railhead. As usual he seemed to stop time with his 90 minutes of no intermission musical immersion, powerful voice, energy and phenomenal guitar. Jonny always makes such a casual and humble entrance, then proceeds to instantly exceed expectations only a few seconds into his opening number, which this time was "Blew Up the House." I would love to know what he does to prepare for a show because I'm sure it starts longggg before showtime. 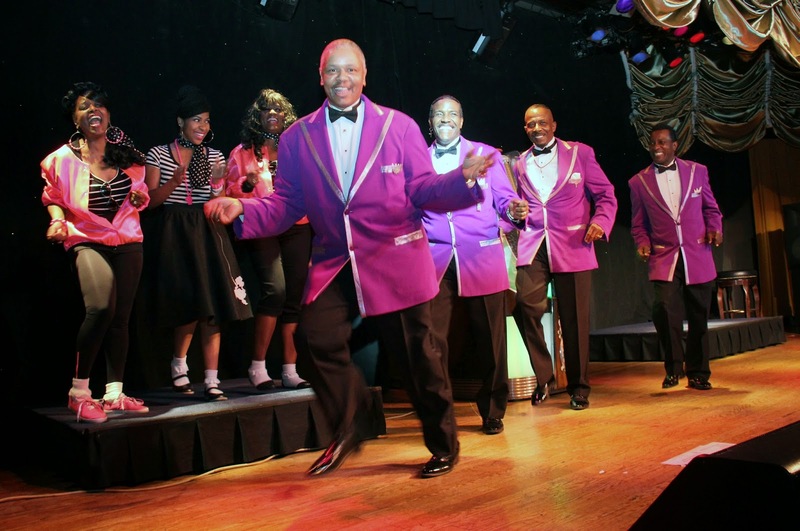 His voice and energy take his audience somewhere special without ever leaving the room! Few musical artists can do this. Beyond talent it requires tremendous physical and spiritual energy. Many performers could work their whole life and never have this kind of effect on an audience, but Jonny has had it from the very beginning and it has only grown since. Now that he is a 20 year music industry veteran, here is a little background on his amazing career so far. 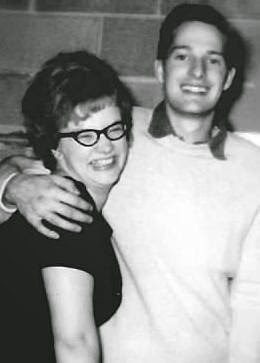 Lang started taking guitar lessons at age 13 from blues guitar player Ted Larson and shortly after was not only asked to join his band but it was renamed Kid Jonny Lang and The Big Bang...He took off into the music business and another life from his small town upbringing in North Dakota, moving first to Minneapolis. There he released his first album Smokin'. Then at age 16 when most of us are just learning to drive, he was on to his second and first major studio album with Lie to Me, in 1997 which went multi platinum. I know I listened to mine so much I wore it out and ended up buying another copy. Then at the age of 17 when most of us are just graduating high school came the Grammy nominated Wander This World in 1998. It was a 5 year stretch until his next album Long Time Coming in 2003. Finally, after overcoming serious personal and addiction issues came the much deserved Grammy Award for Turn Around in 2006. Shortly after this he decided to become an independent artist and left the major label life, with less security but more freedom, a career defining decision and a big one for a 27 year old. In 2009 he released Live at the Ryman. Then he and his wife started a large family, and now Fight for my Soul in 2013 working with producer Tommy Sims. With this album Jonny has said he is entering a chapter where he has found his true voice. Jonny and Jimi Hendrix.....In addition to the international solo tours with his band Jonny Lang has toured with the Experience Hendrix Tour now for several years. 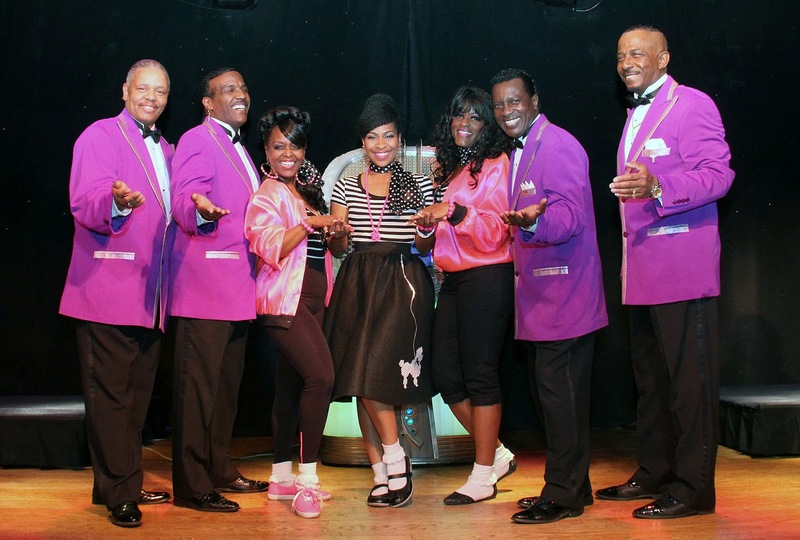 Next American tour starts on Sept. 19th and goes through Oct 18....24 performances in 30 days! 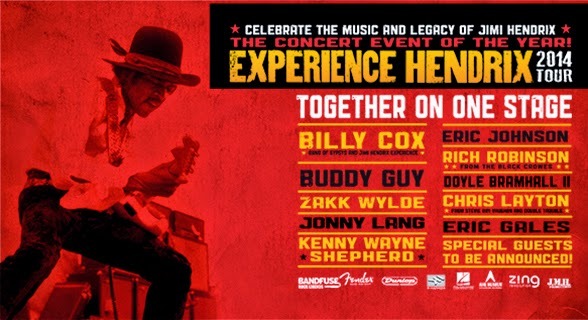 Some of the most legendary guitar players to ever jam onstage are all in one place and many of the venues are outdoor.